Choreographer-turned-director Remo D’Souza is back with ABCD 2 staring like Varun Dhawan and Shraddha Kapoor in lead roles. 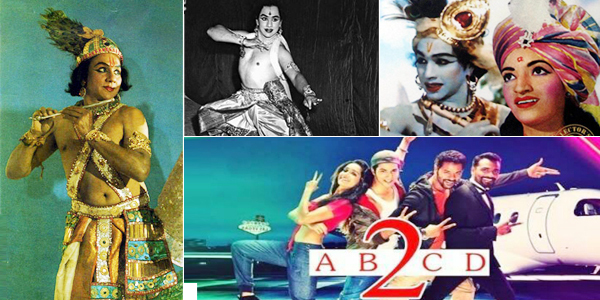 While it is commendable that Remo D’Souza has given a new boost to dancing thanks to his movie ANY BODY CAN DANCE (ABCD), an Indian version of STEP UP, it is tragic the new generation may not been aware about the ‘King of Dancer’ and India’s First dancer, actor and choreographer, Gopi Krishna. When we think of ‘Dancing Heroes’- the names that instantly pop up are Shammi Kapoor, Jeetendra, Mithun Chakraborty, Govinda, Jaaved Jaafrey and Prabhudheva but rarely does any one recall the dancing maverick Gopi Krishna, who trained most of Indian Cinema’s superstars from Dilip Kumar to leading actress like Madhubala, Meena Kumari, Nargis to Dimple Kapadia, Reena Roy, Anita Raj, Padma Khanna, Manisha Koirala, Raveena Tandon, Twinkle Khanna, Shilpa Shirodkar etc. Readers would be surprised to know that at the young age of just 15 years he was awarded the titles of Natraj at All-Bengal Music Conference and at the age of 17 years he stunned the dancing world with his awesome dancing skills in V. Shantaram’s film JHANAK JHANAK PAYAL BAJE, thus giving classical dancing a new status and new dimension in dancing arena globally. JHANAK JHANAK PAYAL BAJE, was a landmark film in the history of India's dancing and cinema, for it showed how classical dancing when properly used by film makers, would yield rich dividends. The film brought him fame all over the country and abroad. Impressed by his mastery in Indian classical dance he became Indian Cinema’s youngest Choreographer at 17 years. The biggest distinction came in his life when K.Asif approached him for choreography in his magnum opus MUGHAL E AZAM. Other distinguished films in which he choreographed include several great films such as UMRAO JAAN, AMRAPAALI, etc. He set a world record for the longest continuous Kathak dance at 9 hours and 20. The government of India conferred him with Padma Shri award. On 17th February 1994, Gopiji passed away leaving behind a huge legacy and a painful void in our hearts. Gopiji continues to inspire millions of dance lover’s world over, even decades after his death.